This post will be an effort to clear up some of the more... Interesting viewpoints about Canada's next jet fighter. 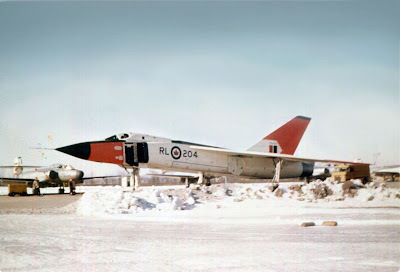 "Canada should just bring back the Avro Arrow!" It's simply not that simple. As romantic and patriotic it would be to simply dust off the Avro Arrow's blueprints and start production, the harsh reality is that it wouldn't be that simple. First off, the Arrow's schematics and prototypes were all destroyed. Add to that the fact that a new Arrow would have to be updated to use modern engines, building materials, radar, weapons, and computer systems. At this point a "new CF-105" would have to be designed, tested, and built from the "ground up". This would likely be too expensive and it would be highly unlikely to produce a combat ready plane by the year 2020. The Arrow might have been advanced for its time, but it just isn't the right aircraft for this day and age. Developed solely as a fast, long range, all-weather interceptor; the Arrow would be ill suited for ground strike missions and it would likely require an additional aircraft type to fill this role. Of course... There is always the future. And there are always possibilities. "Why buy a manned fighter when drones are obviously the future?" 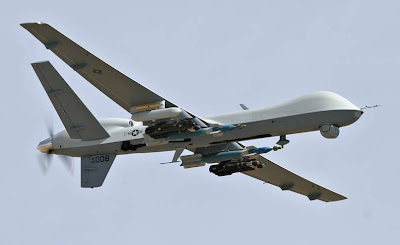 Unmanned Aerial Vehicles (UAVs) and Unmanned Combat Aerial Vehicles (UCAVs) are the undeniable future of aerial warfare. Since they don't need to carry a human pilot on board, they can perform many tasks that are unsuitable for a squishy human operated vehicle to perform. They are often cheaper and their operators can stay safe at home instead of entering a war zone. Right now, however, UCAVs are nowhere near the capability of a proper multi-role fighter. The MQ-9 Reaper pictured above is only really good at attacking "soft targets" with its short range Hellfire missiles or 500lb guided bombs. Other, more cabable UCAVs, like the X-47B or BAe Taranis, show more promise; but these are still only in the prototype or "technology demonstrator" phase with no confirmed production. Even then, these UCAV designs would only have similar capabilities to the F-117 stealth fighter, including a small internal weapons bay capable of holding 4-6000lbs of air-to-ground missiles or bombs. Currently there are no UCAV designs capable of engaging in an air-to-air mission. Nor are there any in the foreseeable future. "A single engine jet wouldn't be safe!" 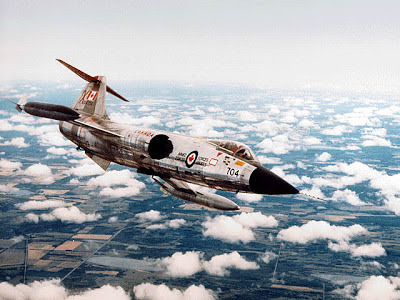 The CF-104, a.k.a "The Lawndart", a.k.a: "The Missile With a Man in it", a.k.a: "The Widowmaker". Canadians are a little concerned about the safety of single-engined jet designs. Rightfully so, when you consider the abysmal safety record of the CF-104 Starfighter. Out of a total of 239 aircraft, 110 were lost. Many of these were due to engine failures. Thankfully, a lot has changed since then. The CF-104 was first flown in 1954, and even then, it was considered a "hot-rod", cramming the largest, most powerful possible engine into the sleekest, tiniest aircraft. Jet engine technology was still in its infancy, but pressure from the Cold War pushed fighter designs to their limits. Added to this was the fact that the Starfighter was initially designed to be a high-altitude bomber-interceptor, but the proliferation of ICBMs changed that. Instead, the F-14 became a low-level attack aircraft, a role unsuited to its tiny wings and terrible low speed performance. Nowadays, 60 years later, modern turbofans are much less prone to failure, and undergo thousands of hours of testing before they are deemed fit. Computer aided design and improved construction techniques make for more durable designs, and modern engine management systems improve reliability as well as providing alerts well before something goes catastrophically wrong. The F-16 was intentionally designed with a single engine, since it was decided that "a two engine plane with one engine out is useless in combat, and the probability of an engine failure was nominally twice as high with two engines as with one. " 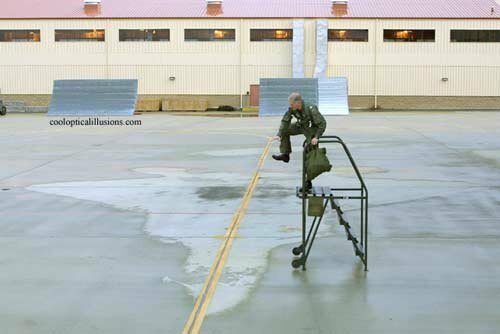 Indeed, the F-16 has a slightly better safety record than the twin-engined F/A-18. For comparison sake, there have been 18 CF-18s lost out of 138 since it entered service in 1983. Nine of those resulted in fatalities. In contrast, out of 235 single engined Saab Gripens in service since 1997, only 5 have been destroyed in accidents, with 2 of those being pre-production models and 1 happening during a static engine test. None were caused by engine failure. None resulted in fatalities. At any point, if we are that concerned about safety concerns involving long patrols over Canada's arctic... Wouldn't a UAV be a much better choice? "Canada would never buy a European aircraft!" 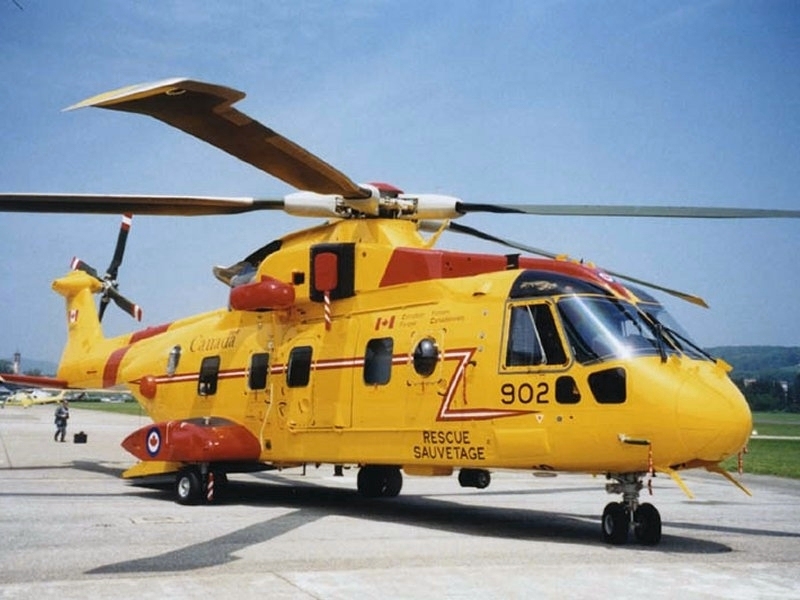 The European made CH-149 Cormorant. Canada currently operates the Airbus CC-150 Polaris, the AgustaWestland CH-149 Cormorant, and the BAe CT-115 Hawk. All built in Europe by European based companies. The Panavia Tornado was considered for Canada's New Fighter Aircraft Program, but lost out to the F/A-18 due to cost and industrial benefit issues. There is also the little publicized fact that Canada leased several Russian made Mil CH-178 "Hip" helicopters for use in Afghanistan. Besides aircraft, Canada's military equipment is a multinational "melting pot", with weapons and vehicles originating from the U.S, U.K, France, Belgium, Sweden, Switzerland, Germany, South Africa, South Korea, The Netherlands, Norway, and of course, Canada itself. "Canada needs a stealthy, 5th generation fighter!" 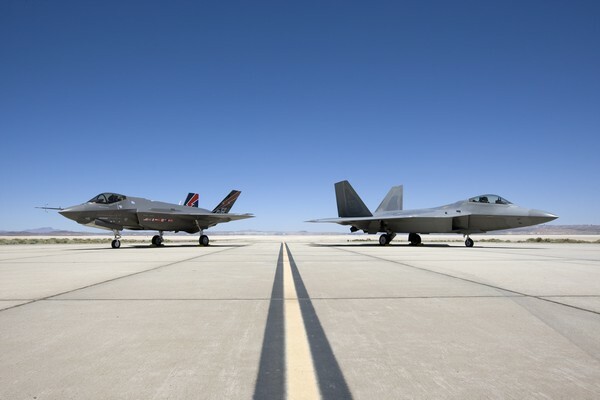 The F-35 (left) and F-22. Countries that spend far more on military spending than Canada are still taking a "wait and see" approach when it comes to stealth. France is quite happy with its current batch of Mirage and Rafale fighters, as is India (although India has an interest in the upcoming PAK-FA.) Germany and Saudi Arabia are quite happy with the Eurofighter Typhoon. Brazil's current new fighter competition did not even include a stealthy fighter design, and is currently looking at a toss up between the Super Hornet and the Gripen. South Korea has yet to commit to the F-35, despite its rowdy northern neighbour. In the meantime, it has the F-15K "Slam Eagle" to patrol its skies. Remember, there has yet to be a single example of stealth being used in in real air-to-air combat. Its use has been proven in strike missions only. These strike missions will undoubtedly be handled more often by the current crop of UCAVs that are in development. Keep in mind also, that the only current operator of stealthy aircraft is the U.S. The only other stealthy aircraft in existence are the Russian PAK-FA (T-50), the Chengdu J-20, and the Shenyang J-31. All of these are currently in the prototype phase, and are unlikely to see production before 2020 (if at all) and are even more unlikely to reach widespread use before 2030 or beyond, when 6th generation fighters will likely be entering service. "Canada doesn't need jet fighters at all!" Of course, being part of NATO means that we have to contribute as well. That means putting our people and equipment in harm's way from time to time. With the Arctic Circle thawing out due to climate change, and plenty of untapped resources waiting to be claimed, Canada needs to enforce its sovereignty in the region or risk losing out to other countries like Russia, the U.S.A, Denmark, Norway and even China. An actual "shooting war" would be unlikely, but a military presence would go a long way to settle any land claims. Lastly, wars are fought with the military you have at the time. One of the harsh lessons of World War II was how woefully unprepared the allied militaries were. Nazi German and Japanese forces were much better prepared and equipped. Canada needs to be able to at least defend itself against any potential attacker, possibly without any sort of warning.